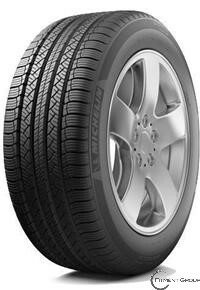 Consider the Michelin Latitude Tour HP tire for your crossover or SUV if you want strong all-season traction, precise handling, and a quiet, comfortable ride. The tire features FAZ Technology, which adds polyester and aramid/nylon filaments under the tread for improved high-speed handling (aramid is the material that makes bulletproof vests bulletproof). The Latitude’s fuel-efficient shape and tread compounds can save you money at the pump, too.